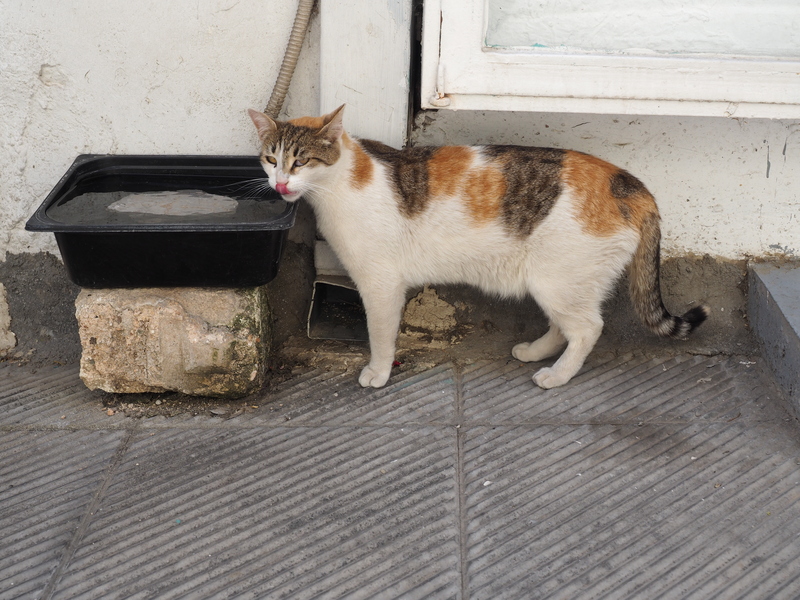 In many parts of Greece, dogs and cats run free. 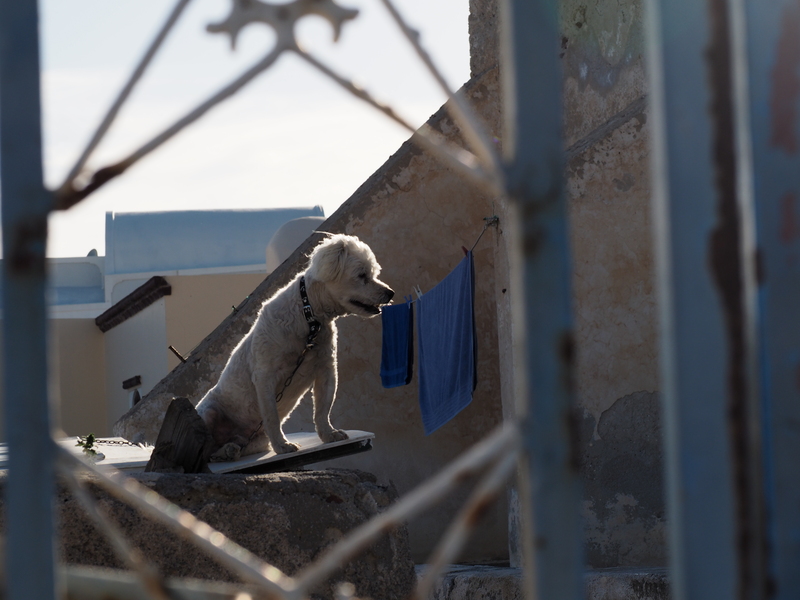 The state, however, identifies, spays/neuters, provides necessary shots and collars (the dogs) and the animals are allowed to run free, fed by tourists, merchants and residents. Many areas have independent adoption programs. 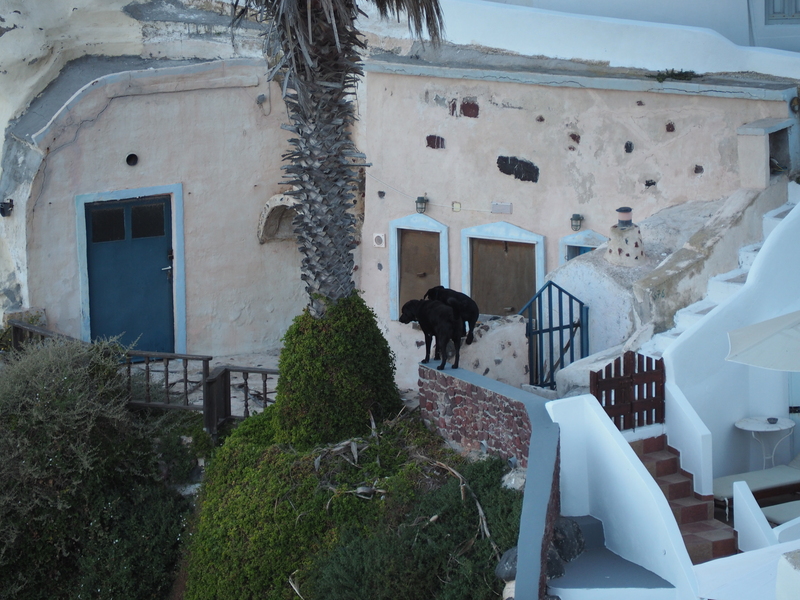 Two black dogs in Santorini. I watched them climb up and down the steep slopes and walk the narrow walls. 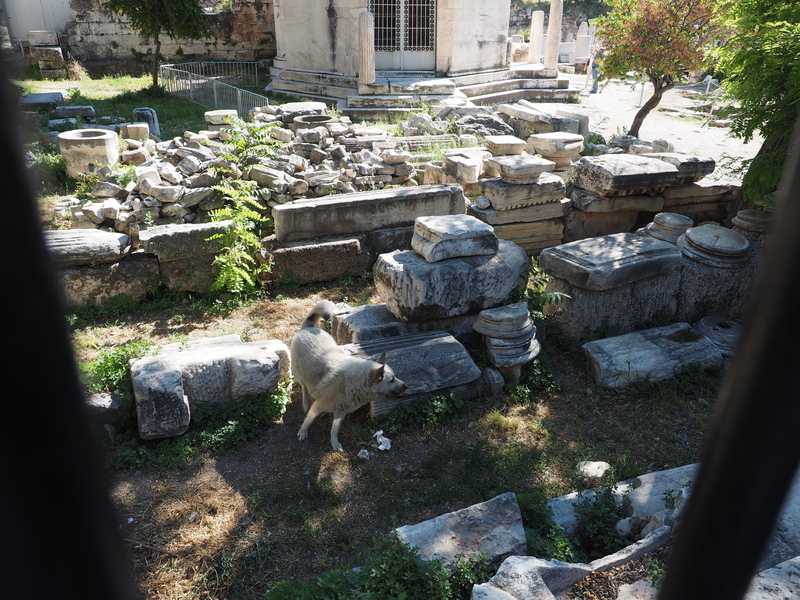 A dog in the Roman Marketplace, Athens. He was chasing a cat that was too quick for the camera. 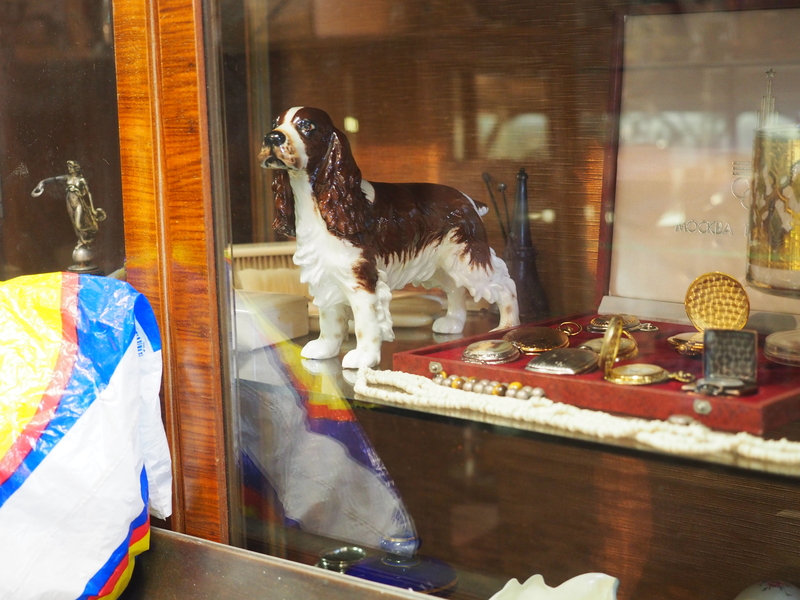 A springer spaniel encased in glass, Athens.